Do you like science? Do you want to help people? If you are great at paying attention to details, and if you have strong communication skills, then you should consider a career as a pharmacist! This career offers a great salary and solid job security. 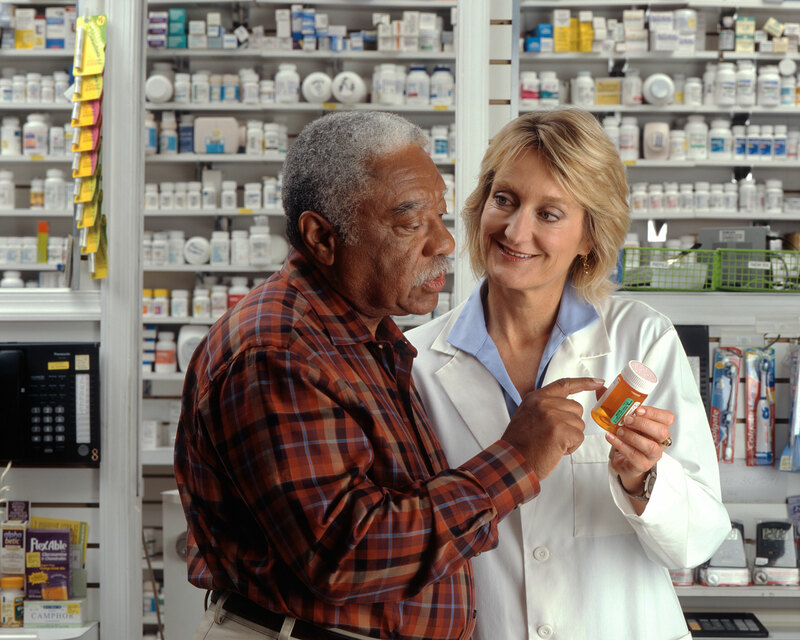 As our population ages, pharmacists will be more and more in demand. A pharmacist gives drugs to patients according to a doctor’s prescription. Pharmacists must understand the chemistry of various drugs and how they can react with one another. As drugs become more complex, pharmacists often must explain certain effects to doctors and patients. Doctors are relying on pharmacists’ knowledge more and more. Pharmacists accurately measure and distribute medicine, to guarantee patients’ safety. Pharmacists do not prescribe the medication; that is the job of the doctor, but the pharmacist does educate patients on the proper way to take medication and what to expect when doing so. Most people see their pharmacist more than their doctor each year! In high school, take as many classes in biology, chemistry, mathematics, and physics as you can because these will prepare you for a pre-pharmacy curriculum in college. In college, pre-pharmacy students take courses in math, physiology, chemistry, biology, physics, calculus and human anatomy, to prepare to apply to a pharmacy school. You must take the Pharmacy College Admissions Test (PCAT)—it’s like the SAT for pharmacy school. If you know early that becoming a pharmacist is your goal, you could graduate with a Pharm.D in about 6 years. To do this you would take two years of pre-requisite courses in college, pass the PCAT and go straight into the four-year pharmacy program. Then you would be done in six years total. Most college students do not decide to become a pharmacist until later in college or even after college, so most students complete a four year BA and then do the four-year pharmacy program, to make eight years total of school—very much like doctors. Pharmacy students must get clinical experience as part of their degree and the school helps you arrange this. Most programs require 7-10 rotations and these typically last 4-6 weeks each. Once you have completed all coursework and earned your degree, you must pass a test to get your license. Most students join the pre-pharmacy club on campus, and then more official pharmaceutical associations. Try to publish articles if you can, and to be involved on campus. All of these things will help you get a job. The Bachelor’s degree in pharmacy was replaced by the Pharm.D (Doctor of Pharmacy) degree. Pharmacy school takes four years and includes clinical experience. If you would like to do research or teach at a university you may want to get an advanced degree, after the Pharm.D, like an MA or Ph.D. An MBA could also be helpful if you’d like to run your own pharmacy. One way to become a pharmacist is to start as a pharmacy technician, which takes less training. Pharmacy Technicians assist pharmacists in labeling and filling prescriptions and talking with customers. You can then do more schooling to become a full pharmacist. Job demand for pharmacists is expected to grow for the next ten years, and most pharmacists work in retail settings and hospitals. A community pharmacist must have strong people skills because they give patients much health information and discuss treatments. Hospital pharmacists work with physicians, nurses, and other professionals as a team. They dispense all medications at the hospital and must maintain good record-keeping. Other types of pharmacists include: Hospice Pharmacist, Infectious Disease Pharmacist, Nutrition Support Pharmacist, Oncology Pharmacist, Operating Room Pharmacist, Pediatric Pharmacist, Poison Control Pharmacist, and Veterinary Pharmacist. Salaries are pretty consistent across these “sectors” of pharmacy, but the hours and work environments change, so there is surely something to appeal to every personality. Pharmacists typically earn around $100,000 per year. If working with doctors, patients, details, and medicine sound exciting to you, and if helping people to achieve great health is something you would like to do, then a career in pharmacy might be the perfect career for you!